An important stage in the treatment of any object is for the conservator to thoroughly assess the object "as is" before any work gets underway, if any work is in fact needed. 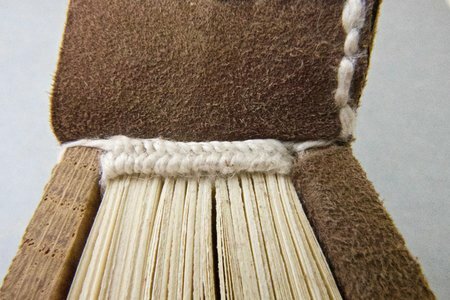 In the books conservation department, we fill out a condition and treatment report that documents the exact condition of a book, when received by the conservator, identifying all issues that may require attention. 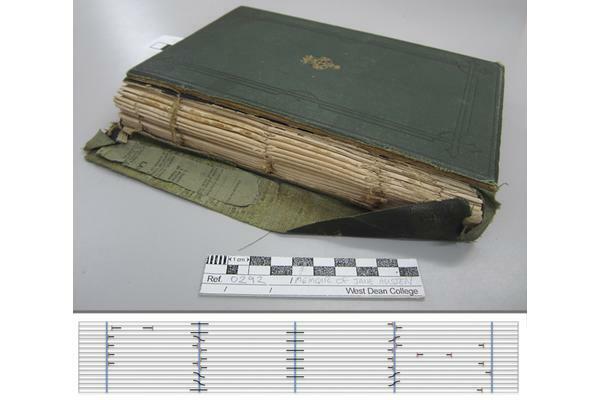 As times goes on, all work will also be logged in this same document so that a thorough report can go back with the book to the owner, and possibly inform future treatments if another conservator works with the book in the future. 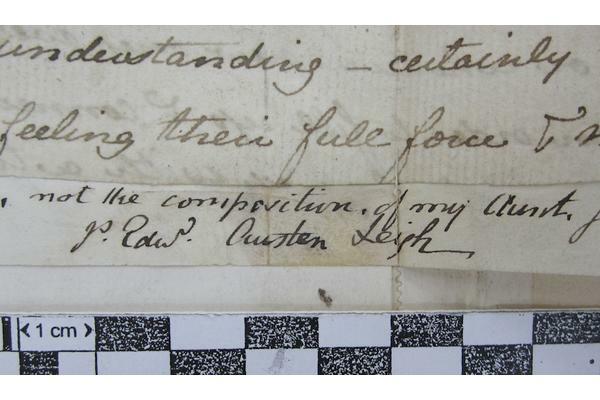 I was asked by David Dorning to create a condition report for the sample of Jane Austen handwriting that the department has been commissioned to treat. You can read about the project here. The sewing of the book is broken, with many of the gatherings loose from the binding. By mapping out the pieces of sewing thread that remain (thick black lines), it becomes easier to identify the original pattern of sewing. Looking through the whole of the book, there is an interesting pattern of damage to some of the pages. 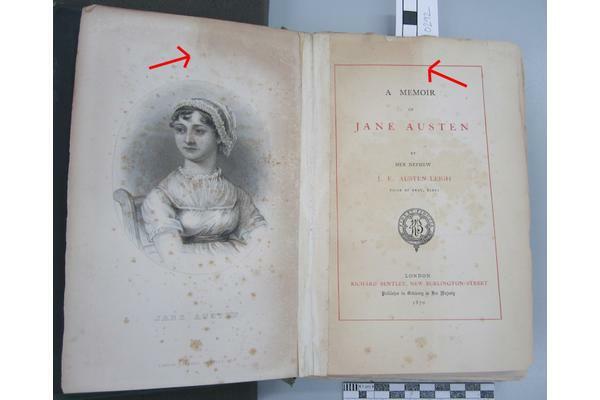 Arrows here indicate areas of possible light damage to the frontispiece and title page. 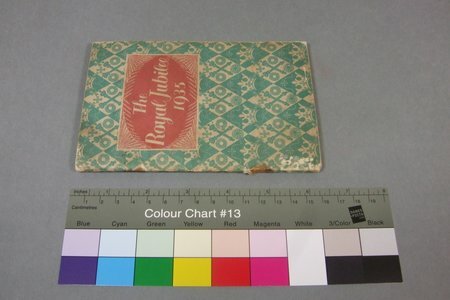 The pattern suggests the pages may have been stored separate to the book and folded so as to protect the inserted sheets adhered to the other side. There is also foxing on these pages-and only these pages-which could also indicate that they have been stored in different environmental conditions to the rest of the book for a period of time. These pages have all been hinged back into the book using white tape along the length of the gutter, supporting the idea that they have been out of the book. 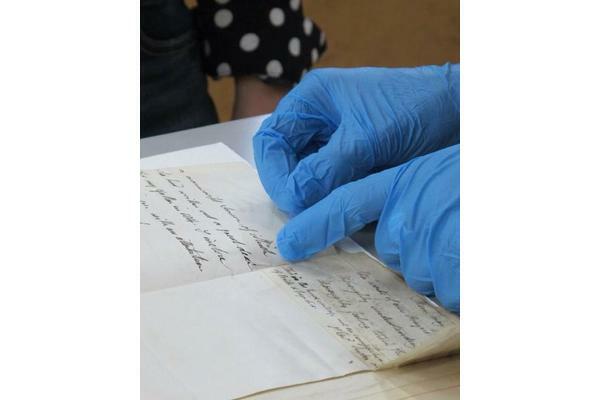 There is a tear along the crease where the Austen writing sample has been folded. 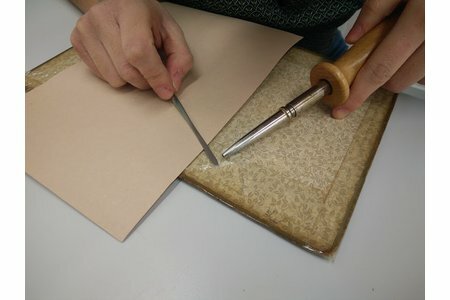 This extends 20mm into the backing paper that the sample is mounted on, and 7mm into the sample itself. A newspaper clipping was found inside the book, tucked between the pages. 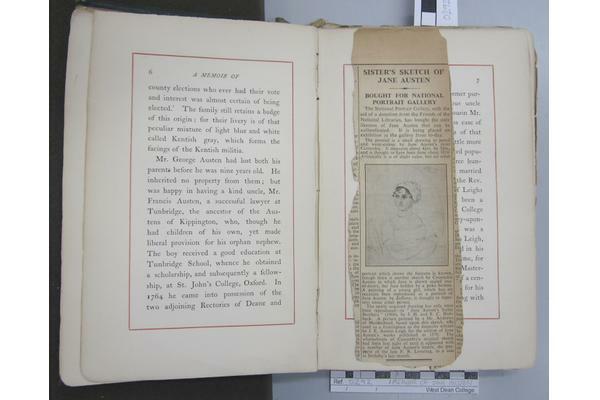 The clipping refers to the sale of a sketch by Jane Austen's sister, Cassandra (this is the image on which the portrait used on the frontispiece of the book is based). Further research by Su Fullwood dates this sale to 1948, when the National Portrait Gallery purchased the sketch. All three samples of iron gall ink in the letter and writing sample tested positive for unbound iron(II) ions, which can be harmful to cellulose in paper. The ions act as catalysts of degradation, causing discolouration and decay. This knowledge will help the team to choose an appropriate strategy for releasing the writing sample from the sheets underneath and stabilising the fragments.